Are you a full time working mom? Do you find it difficult to balance work and kids? Don’t be disheartened. You are amazing and you’re doing the best you can for your child. 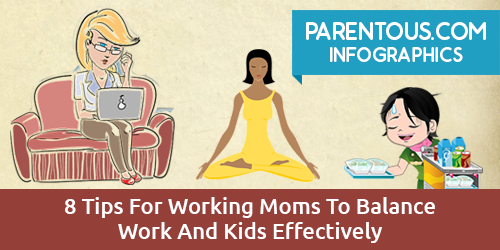 Check out a few pointers for working moms to help balance work and kids more effectively. Based on the original article “8 Tips For Working Moms To Balance Work And Kids Effectively” by Swarnam John.